18thc Oak Cornish Cricket Table. English. C1720-40. 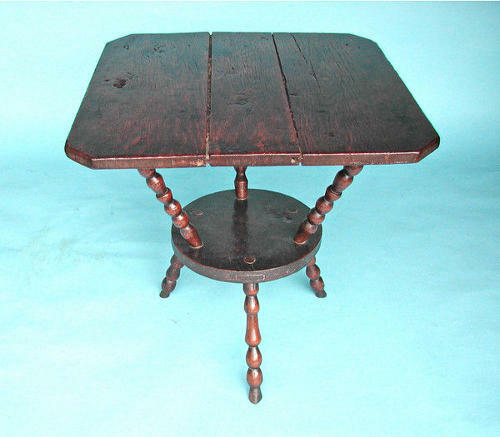 A rare early 18thc Oak Cornish "Cricket" Table, pleasing shape, standing on turned bobbin legs, with a small round under tray and a three planked top...very good colour and size.